Your safety and well-being is our priority. We use advanced technology and latest techniques to insure a safe and predictable treatment. 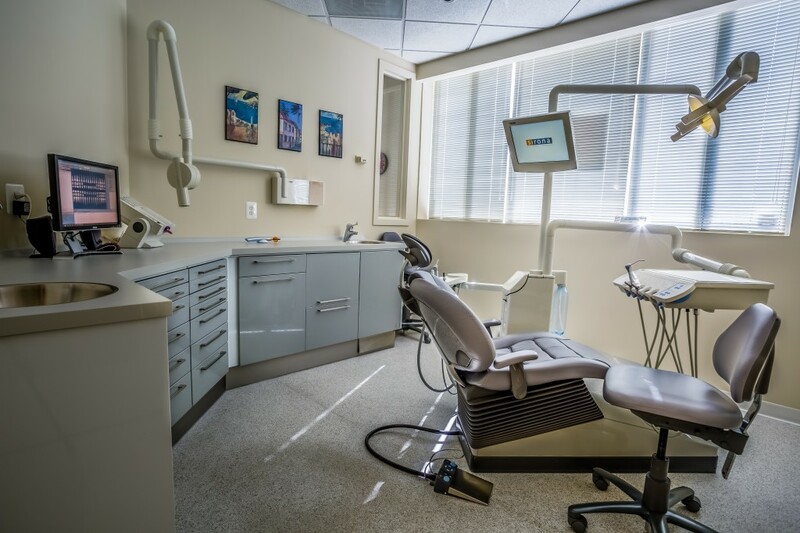 Our modern sterilization center is set with the latest equipment to clean, sterilize, and store dental instruments. Our treatment chairs are designed with your comfort in mind. They are equipped with computer monitors, so you can see the results of your treatment, relax and watch a movie, or simply enjoy soothing music during your appointment time. We equipped our treatment rooms with state-of-the-art dental cabinets to insure proper dynamics and organization of the treatment process. We use modern articulators to design and plan your smile and comfortable bite in our in-office laboratory. With your interest in mind, we work with dental laboratories that stay abreast with the latest technology and provide us with high quality work. Digital photography is an essential part of our design and diagnosis process. It also gives us an opportunity to instantly transfer invaluable images to your treating specialists and consulting doctors. On the other hand, it helps you see close-up photos of your smile and understand what changes will be made to your teeth with a comprehensive cosmetic and esthetic dental treatment. We use digital radiography which allows us to diagnose intraoral problems, while reducing your radiation exposure to a minimum. Digital radiography is safer for the environment, since no chemicals are used to develop films. The instantaneous image reading also allows us to dedicate more time to you during your visit.